Dimensions 1.50 by 8.25 by 9.25 in. Mark Bittman's highly acclaimed, bestselling book How to Cook Everything is an indispensable guide for any modern cook. 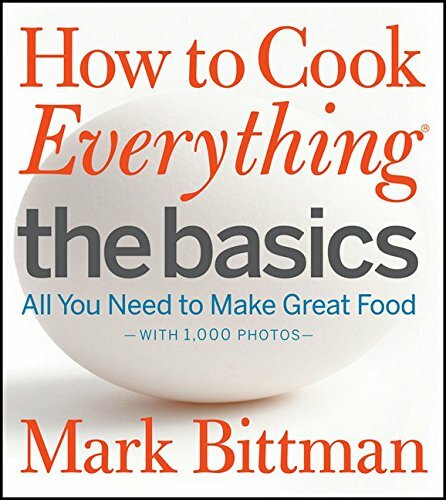 With How to Cook Everything The Basics he reveals how truly easy it is to learn fundamental techniques and recipes. From dicing vegetables and roasting meat, to cooking building-block meals that include salads, soups, poultry, meats, fish, sides, and desserts, Bittman explains what every home cook, particularly novices, should know. 1,000 beautiful and instructive photographs throughout the book reveal key preparation details that make every dish inviting and accessible. With clear and straightforward directions, Bittman's practical tips and variation ideas, and visual cues that accompany each of the 185 recipes, cooking with How to Cook Everything The Basics is like having Bittman in the kitchen with you. This is the essential teaching cookbook, with 1,000 photos illustrating every technique and recipe; the result is a comprehensive reference thatÃ¢ÂÂs both visually stunning and utterly practical. Detailed notes appear in blue type near selected images. Here Mark highlights what to look for during a particular step and offers handy advice and other helpful asides. Tips and variations let cooks hone their skills and be creative. About: The next best thing to having Mark Bittman in the kitchen with you Mark Bittman's highly acclaimed, bestselling book How to Cook Everything is an indispensable guide for any modern cook.